Lobster foi gras salad from Rick Stein at Bannisters. 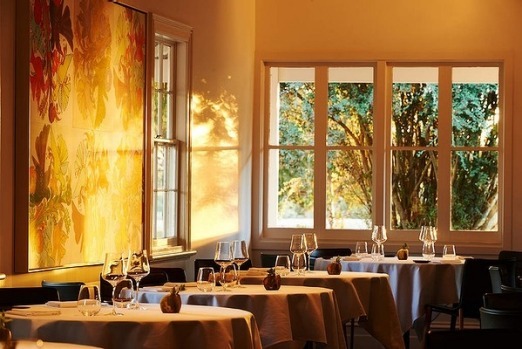 The dining room of Brae restaurant in Birregurra, Victoria. The cellar of Cullen Wines at Margaret River, Western Australia. The Eagle Bay Brewing Co is perched on a rise overlooking a sheep and cattle property. Foragers, Sophie Zalokarâs dining room/cooking school/boutique lodging in Pemberton, Western Australia. 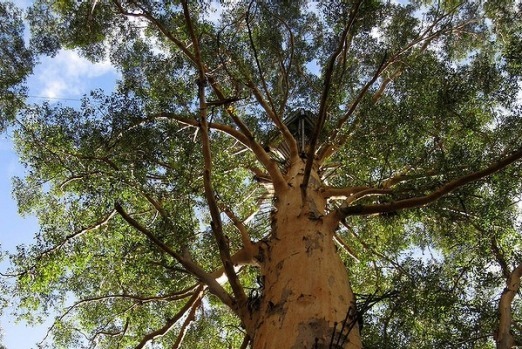 People climbing the 60m-high Gloucester Tree in Pemberton, Western Australia. 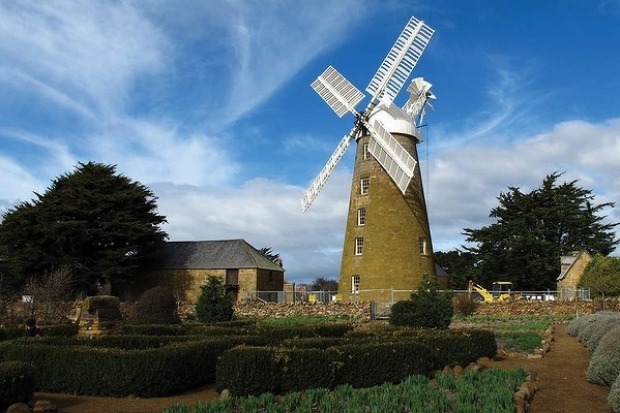 The restored, working Callington Mill in Tasmania. 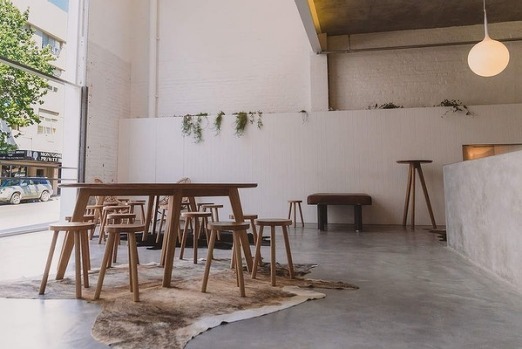 The cool, clean, modern interior of Franklin in Hobart, Tasmania. The cinematic Walls of Jerusalem National Park in Tasmania. Pack your bags because we are hitting the road. It is holiday time and we are taking to the highways and byways of this wide brown land to visit our families and reconnect with old friends. And for many this will involve a road trip – the modern odyssey. A vast journey across unknown territory or a mission on a well known route to revisit familiar places and rekindle old memories. 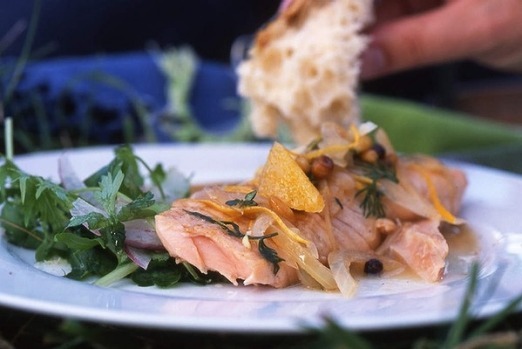 True food lovers treasure tasting the produce of the countryside as they drive through it, and create tasty touring routes with delicious destinations. So throw the bags in the family station wagon, fried-out Kombi or imported convertible, add a picnic blanket and Esky, and take a road trip with us. The waves pound the rocky headlands as we head south of Kiama, turning off at Gerringong onto Crooked River Road. We drive windows down, the ping of bellbirds and trill of cicadas fill the air, the narrow road carving an avenue through the forest. Shortly we are at Coolangatta Estate. 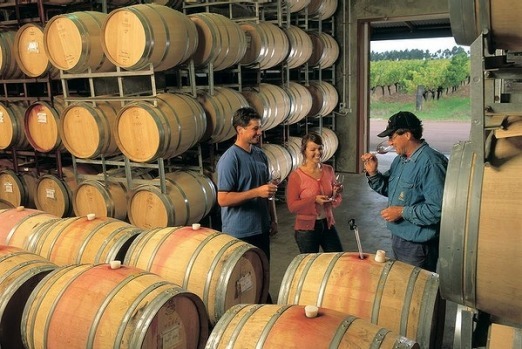 This winery was once a self-contained town that was the first settlement on the NSW South Coast, dating back to 1822. Today it is a really impressive winery with a great cellar-door experience using colonial-era stone and brick buildings for the tasting room, restaurant and resort. At Nowra we take a detour east to Greenwell Point, home to a dozen or so oyster farmers, many with farm-gate sales. We buy ours from the ebullient Jim Wild at Jim Wild's Oyster Service (170 Greens Road) known as the fastest shucker in the country. We mosey on down south to Mollymook where we have a booking at celebrity chef Rick Stein's modern seafood restaurant Bannisters. It's oysters and bubbles followed by a fish pie of salmon, blue-eye trevalla, snapper, scallops, mushrooms and prawns bathing in veloute with parmesan gratin. 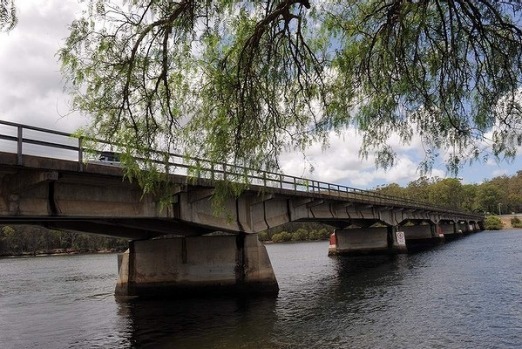 The Princes Highway takes us down to Moruya, a little country town of old wooden homes with rambling gardens on the banks of the Moruya River. 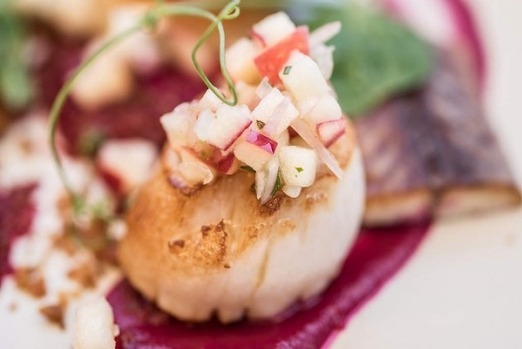 At the River Moruya restaurant chef Peter Compton, formerly of Melbourne's Circa, serves local produce with a real eye for beauty on the plate. 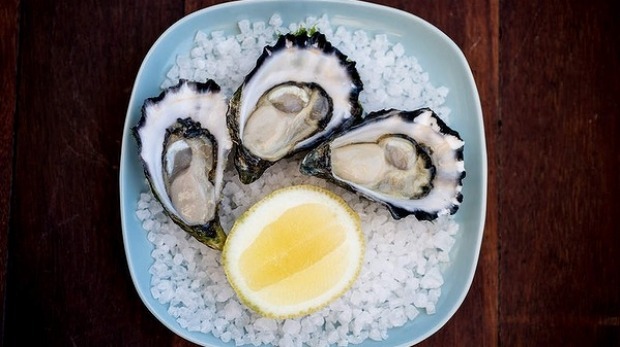 We order Tuross oysters and then Bermagui tuna served raw in a wasabi and shallot sauce with hot crab beignets on the side. With the air still warm we take time to explore Tanja's Mimosa Rocks National Park , a strip of coastal forest where palm-like cycads spread under the towering spotted gums. From the undergrowth shoots a goanna, over two metres long, running up a tree trunk to hide from us. Here, creeks form lagoons with crystal clear water that is warmed by the sun, such as Bithry Inlet, where we throw ourselves into the clear water, scattering a school of sand whiting as we go. The swell at the wharf at Tathra rolls in from the ocean, sending shudders through the century-and-a-half-old wooden wharf. Inside the old warehouse The Wharf Locavore cafe (Wharf Road, Tathra) serves excellent coffee and locally made pastries. We slide into mismatched chairs by the mullioned window and watch the fishermen pull in a few flathead. On the road out of town is a little sign reading "Oysters for sale", pointing to a garage in a suburban house. 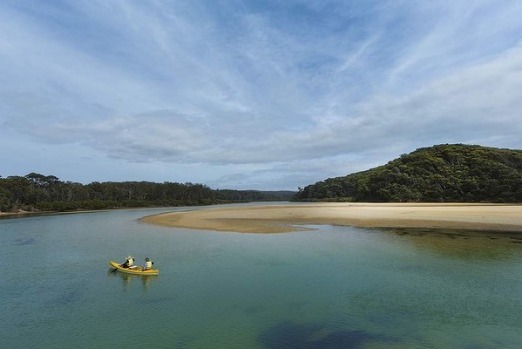 This is the home of Tathra Oysters regarded by many to be some of the best in the nation. We buy a few dozen and head down to a little picnic table at the Kianniny Boat Ramp (Kianniny Street, Tathra) and shuck our oysters in a beautiful sheltered cove surrounded by rocks covered in ochre lichen, all watched by curious pelicans. 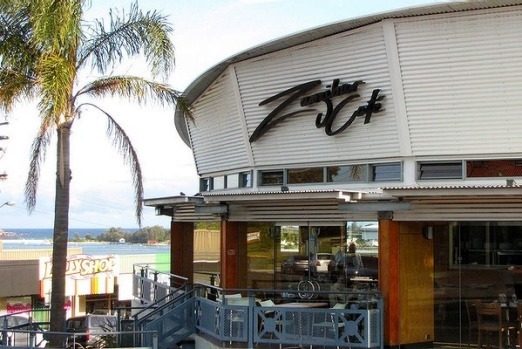 As the sun lowers in the sky we arrive in urbane Merimbula, where we have a table for two at Zanzibar Cafe, a two-hat restaurant offering local and seasonal degustation. And more Sydney rock oysters. The Ulladulla Fishermen's Co-op (Wason Street, Ulladulla) sells flipping fresh filleted fish and deep-fried smooth dory and blue grenadier. Bermagui Gelati Clinic (6 Bunga Street, Bermagui) uses real fresh fruit to make its ices. It was a vet clinic but the new owners hastily painted over the word "veterinary" with the word "gelati". Take the Princes Highway west from Melbourne out to Victoria's great volcanic plains. Here the rich basalt earth is carved by meandering rivers, the pastures shaded with gnarled river red gums. Follow the signs to Birregurra and pull into the gravel drive of Brae. Rated three hats this is ex-Mugaritz's head chef Dan Hunter's own show. Wander the orchard and kitchen garden and catch aromatic wafts of bread baking in the wood-fired oven or meat cooking over the outdoor charcoal grill. The cool, clean but comfortable dining room looks out over paddocks, native garden and old tombstones in the cemetery beyond. Settle in for a degustation where Hunter draws the maximum flavour from the best of the season using minimalist modern kitchen technique. He may serve puffy crisp beef tendons with pepperberry dust or beautiful chunks of prawn ceviche with little pearls of finger lime wrapped in a peppery nasturtium leaf. Head through the rich dairy country of Colac and Camperdown, then through the hawthorn-hedge-lined back roads north. Heading west the great sierra of the Grampians looms on the horizon. Formed from rock 360 million years old, they rise over a kilometre at their peak to create a spectacular forest-cloaked range running a hundred kilometres from north to south. 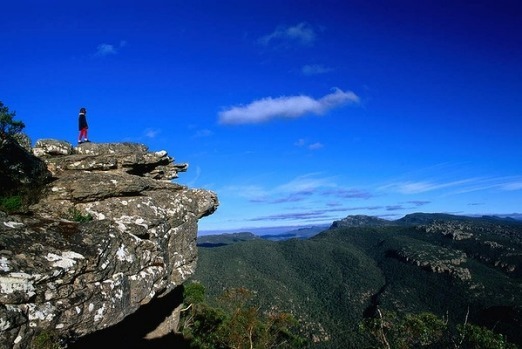 The Grampians National Park is interlaced with walking tracks with grades suitable from beginners to experienced. Head back down to Dunkeld and catch the sunset flooding the river red gums that line the creek below the Royal Mail Hotel). This historic pub was given a multimillion-dollar facelift and turned into a fine dining destination by a local businessman about 10 years ago and is now a two-hat restaurant under chef Robin Wickens. A large portion of the dishes contain fruit and veg from the massive kitchen garden, which staying guests are invited to visit after breakfast the morning after their meal. From here we make a beeline to Port Fairy, a historic whaling-port village lined with bluestone pubs and churches dating back to the 1840s. After a beer at the Caledonian (or, the "Stump", 41 Bank Street), the oldest continually licenced pub in Victoria, it's dinner at Fen, formerly the Stag. This is a small restaurant housed in an 1847 inn, to which local chef Ryan Sessions has returned. 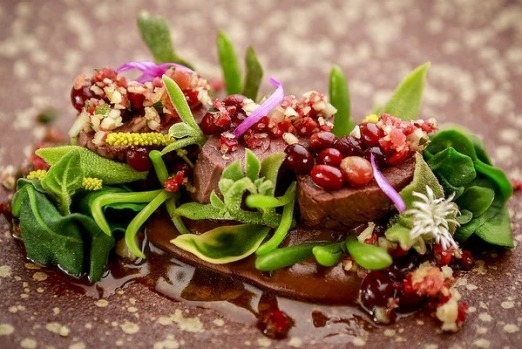 He is using native ingredients to create dishes that are not only at the forefront of modern Australian cuisine but also tell a local story. The amuse-bouche is made with smoked eel, an ingredient the local Gunditjmara people have been using for thousands of years. Next is a plate of medallions of crayfish tails in mussel sauce, crays being a traditional local industry. There's abalone, crab and a truly wonderful dish of rare wallaby on a bed of Spanish blood pudding and native apple. 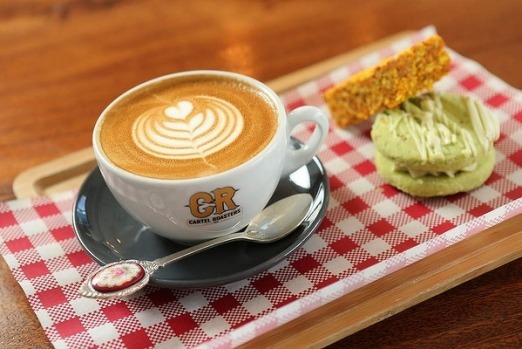 Detour via Geelong and order a brew of the day at Cartel Roasters (80 Little Malop Street). Want a $5 cheese and spinach parcel or an $8 burger with the lot? Try the Birregurra General Store (59 Main Street). A young French baking couple use Dunkeld's old wood-fired oven to make exquisite French-style breads and pastries at The Dunkeld Old Bakery. The Kwinana Freeway takes us south. Down route 10, the sandy coastal plains and old gnarled tuart trees give way to the granite and gneiss capes and limestone ridges that define the landscape between Cape Naturaliste and Cape Leeuwin. The limestone country here has been eroded from within over the past 350,000 years, forming more than 150 caves. At Yallingup we head underground to Ngilgi Cave to learn about the Aboriginal legend of the battle between good and evil told in this eerily beautiful limestone cavern. Not far from the old white lighthouse at Cape Naturaliste is Eagle Bay Brewing Co. This is a large and rather beautiful craft brewery and restaurant perched on a rise looking out over a sheep and cattle property, over native bush to Eagle Bay. Here we pick up some easy-drinking and hoppy Extra Special Bitter for later in the road trip. 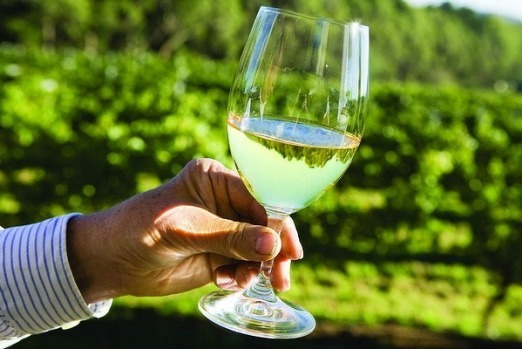 Further down the coast we lose ourselves in the Margaret River wine region. The direction of this beautiful undulating farm country was changed forever in the late 1960s when a doctor bought some land for $75 an acre and planted the first vines on a vineyard he called Vasse Felix. Today the region is home to internationally acclaimed wines, some of which are household names such as Evans and Tate, Houghton, Capel Vale and Cullen. The Cullen family was a pioneer of biodynamic wine production in Australia. Its commitment to this sustainable production is reflected in the restaurant where a lot of our lunch is picked from the garden next to the kitchen. Fruit and veg are complemented with produce from surrounding farms. Out across the vineyards, farms, bush and ocean from here life looks good. We overnight in Margaret River, still very much a rural centre, but boasting Mikihito Nagai's Japanese restaurant loved for its feather-light tempura. Here you watch him prepare the food, hence the restaurant's name: Miki's Open Kitchen. Next day we head to the ancient karri forests of Pemberton. Here these forest giants stand in the dappled light, the great trunks smooth-barked and striped white, cream and grey. 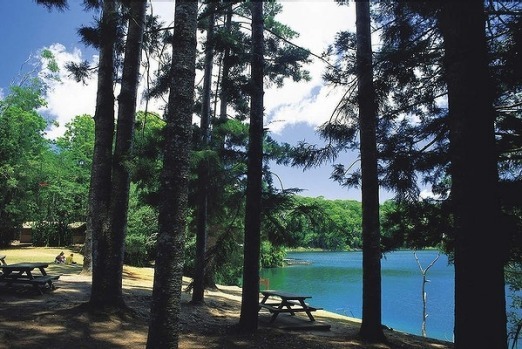 The Gloucester Tree in Gloucester National Park has steel spikes creating a spiral ladder that leads about 72 metres to a fire lookout. The rich soil and temperate climate that has nurtured these giants has also allowed the development of a burgeoning truffle industry. While the truffle season is winter, with the Truffle Kerfuffle being the seasonal festival held in Manjimup at the end of June there are always truffles on the menu at The Truffle and Wine Co. This is the largest single producer of black truffles in the world, a winery and a restaurant. Order confit duck and black truffles with the winery's pinot noir and enjoy the changing colour of the oak trees in the truffiere. We head further east along the 102, sweeping by the granite peaks of Mount Frankland National Park and turn north at the Rocky Gully-Frankland Road for a wine tour through the Frankland River wine region. With the rugged peaks of the Stirling Ranges rising to the east this lesser known wine region produces some outstanding quality wines, as does its sister region slightly to the south, Mount Barker. We are now on the home straight heading south on route 30 towards Albany, once a major port city nestled between two granite hills. We make the ubiquitous visit to the sometimes-grim but quite fascinating former whaling station at Discovery Bay walking the wetlands and botanic gardens. At the end of the day we fold into a chaise lounge at Liberte (160Stirling Terrace, Albany), at Albany's old London Hotel, a Parisian-inspired cocktail bar serving freshly shucked Albany oysters, ice-cold bubbles and a selection of Vietnamese food from salads to pho. Break the journey at Bunbury with breakfast gnocchi at Mojo's. 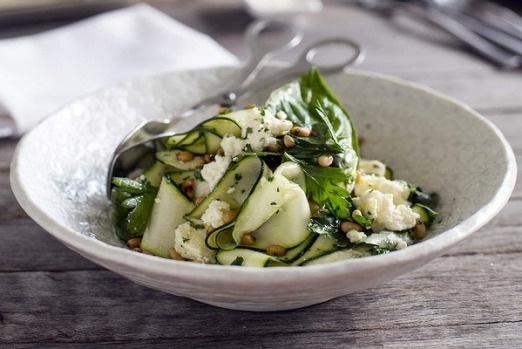 Book in to chef and author Sophie Zalokar's weekly Saturday night dinners at her Foragers cooking school in Pemberton. Find great quiche, soup, patisserie and baguette at Gourmandise and Co in the heart of Albany. The night ferry from Melbourne sidles up to the berth in Devonport before dawn. The terminal is lit with bleak yellow light. Bleary eyed, we follow the road signs to Hobart through the undulating volcanic basalt country with its deep red earth and verdant green fields. The fertile coastal country gives way to paddocks lined with forest. Dairy farmers rise early and the team at Ashgrove Cheese in Elizabeth Town open their farm gate for tasting at 7.30am. Best known for their wasabi and mountain pepper flavoured cheeses it's also worth trying their blue and cloth-bound cheddar, silky unhomogenised milk with a beautiful confectionary note, and wonderfully fresh award-winning butter. Near Deloraine we take the turnoff to the B12 west towards Mole Creek. 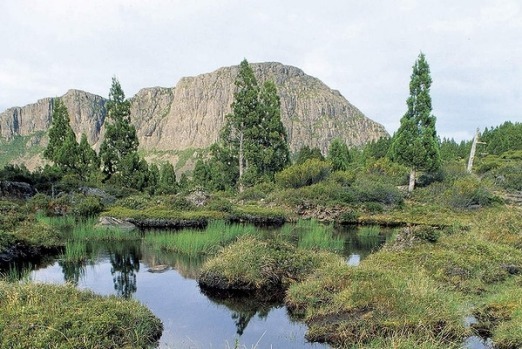 To the south are the stunning Walls of Jerusalem National Park, great stone peaks over a kilometre and a half high and part of the Tasmanian Wilderness World Heritage Area. Near hear the Stephens family's bees collect nectar from the leatherwood trees from which they produce outstanding, heady and aromatic honey. Try and buy honey at the R Stephens down-to-earth farm gate processing plant. The road heads south through the central plains, the peak of Ben Lomond rising in the east. Rough grazing country gives way to fields of waving grain and, in the historic town of Oatlands, the sails of the 1837 Callington Mill spin quietly in the wind. At this restored, working grain mill, you can watch wheat, spelt and rye being ground into flour. In the cafe, taste baked goods made from the soft flours that make delicate cakes and biscuits. 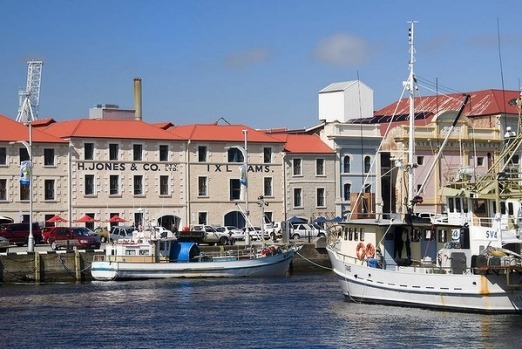 We arrive in Hobart and check in to one of Australia's most loved hotels, the Henry Jones Art Hotel, with its old metre-thick stone walls, overlooking Franklin Wharf, the sound of rigging on masts filling the sea breeze. 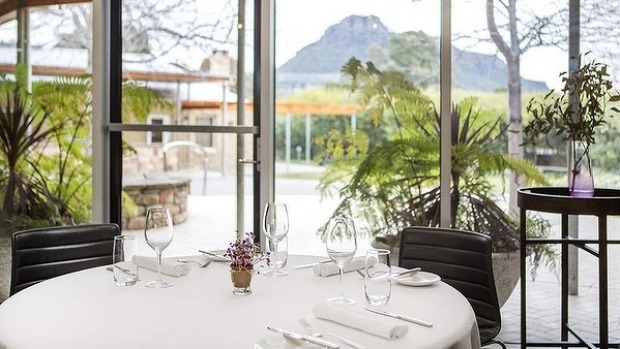 It's dinner at modern dining mecca Franklin with its cool, clean modern interior housed in a former car showroom where much of the food is cooked in a 10-tonne Scotch oven. Then, an early night, for tomorrow we take another ferry to Bruny Island for more meat, cheese, berries, whisky and oysters. First thing in the morning, straight off the Spirit of Tasmania and in need of coffee, head over the Mersey River into town and find Laneway Coffee in a corner building among the warehouses. 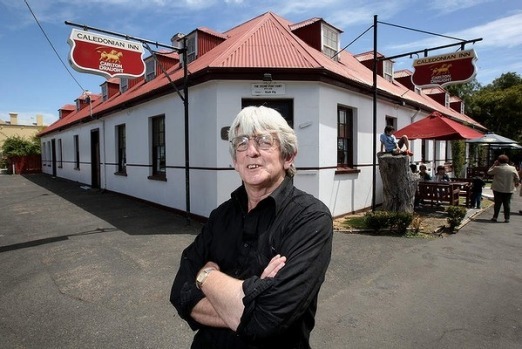 At historic Ross the Tasmanian Scallop Pie Company makes scallop pies, a 19th-century Tasmanian traditional fast food. In the heart of Hobart there's this fun pub with a welcoming blazing fire called the New Sydney Hotel. Heading north up the Bruce Highway the suburbs give way to native bush and pine plantations, the odd small farmlet carved into the trees. To the west are the Glasshouse Mountains, their volcanic mounds rising like great green-cloaked tors from the surrounding forest. Following the signs to the Sunshine Coast we drive to the Mooloolaba wharves where dozens of commercial fishing boats bop and sway in the gentle tide. The Mooloolaba Fish Market has a retail store where you can buy outstanding prawns, as well as fresh wild-caught fish crumbed and deep-fried to eat by the wharf while the ships roll in. No road trip is complete without a stop at a "big thing". 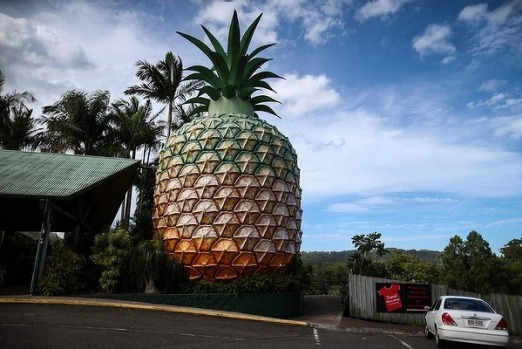 For the sake of irony and nostalgia we detour to the heritage-listed Big Pineapple in Nambour with an air of both elation and disappointment. We can still climb to the top but the local pineapples aren't ready until June. Back on the Bruce Highway we drive to Hervey Bay, where the humpback whales come close to shore from mid-year to October. 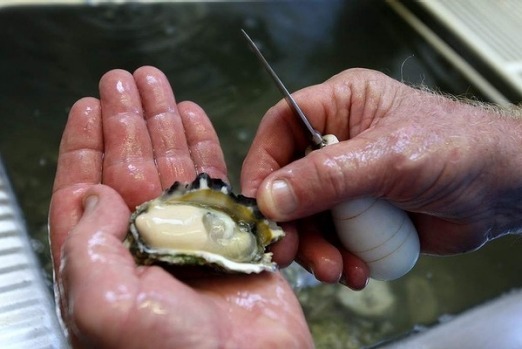 It is also home to the Hervey Bay Scallop, succulent discs of translucent flesh sold fresh or snap frozen on the shell. Buy them direct from the Australian Ocean King Prawn Company out near the airport, or try them grilled with caper butter at Coast Restaurant and Bar on the foreshore looking over the water. Just south of Childers we dart back towards the coast where the plains are thick with great swathes of towering sugar cane. Here it's fermented into rum at the Bundaberg distillery. The heady aroma of molasses is the sensory leitmotif to the guided tours. 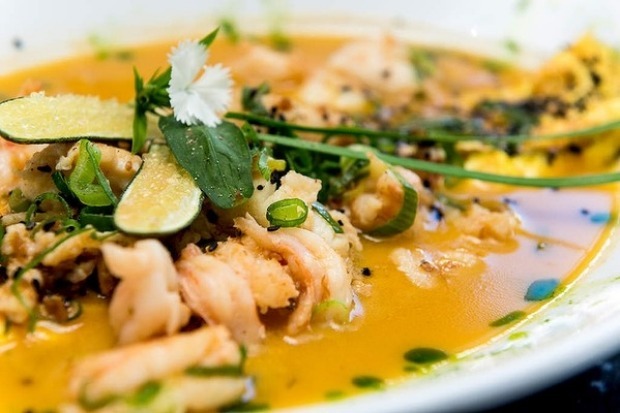 In Bundaberg town we find one of the best cafes we have seen that uses local produce to its fullest potential, and order an omelette with scallops, tiger prawns and spanner crab, all topped with XO sauce, from nearby Burnett Heads. It's called Indulge Cafe and it is very good. Rockhampton is cattle country so we need to try a steak. The Waterline Restaurant on the waterfront is the exclusive outlet for Banana Station Beef, here served with jamon and Spanish blue cheese, overlooking the yachts in the marina and the bush-covered headlands beyond. The Eimeo Pacific Hotel is a great square block of '60s-style architecture at the end of a cul-de-sac sitting on magnificent headland with million-dollar views out to the Whitsunday Islands, with great pub grub. A few kilometres north of Innisfail we turn off onto the Palmerston Highway and head into the Atherton Tablelands. These are elevated tropical volcanic highlands, the highest peak, Bartle Frere, rising to 1622 metres. This is a meandering road that sends us through remnant rainforest and rich dairy country. After a slice of cake made with native Davidson plum and rich, thick cream at Mungalli Creek Dairy we plunge into the cool, clear waters of the pool that lies under the nearby Millaa Millaa Falls. We head towards the coast and before we arrive at the old fishing village, now holiday resort of Port Douglas, we drop into Daintree Estates in Mossman to learn how cacao pods are grown and made into really excellent chocolate. 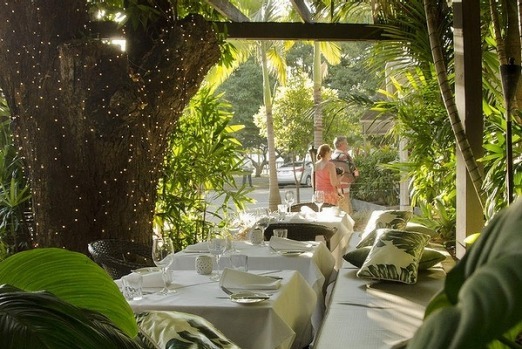 It's dinner at Harrisons, a Port Douglas restaurant with an English chef combining traditional British skills with tropical ingredients. We dine on beef cheeks cooked with tamarind and served with kimchi and puffed rice, looking out through the pandanus trees to the azure blue water lapping on the sand. Try deep-fried crocodile spring rolls at the Koorana Crocodile Farm near Rockhampton. It's tea and scones in the tropics at the 1865 pub in the hills near Townsville called Heritage Tea Rooms. Farmers sell excess produce at roadside stalls throughout this country but look for stalls selling tropical fruit, tea leaves and veg along the Atherton Highway. Heading north up the A1 it's time to play "who bakes the best Cornish pasty?" Cornish miners brought their pasties with them during the copper boom of the 1840s and the tradition continues. The Port Wakefield Bakery (1 Edward Street, Port Wakefield) does the standard shortcrust, crimped-edged, meat, swede and potato-filled pastry as good as anyone. It's a wide-open road north with just salt bush, rusted steel and concrete stobie poles for companionship. We stop at Port Germein and stretch our legs on the 1.5 kilometre-long pier that leads out into the azure waters of Spencer Gulf. Around the head of the gulf and heading down the Eyre Peninsula is Cowell, a typical South Australian coastal town with white sand, blue water, avenues lined with Norfolk Island pines and double-storeyed stone pubs with broad shaded verandahs. Just south we find decent coffee in a cute cafe called Conversations at Elbow Hill (14456 Lincoln Highway, Elbow Hill) housed in the old post office and general store. 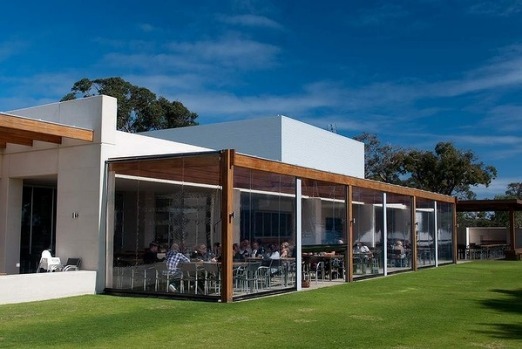 In Port Lincoln we drop by Boston Bay Wines of which wine oracle James Halliday says, "it is the only vineyard in the world to offer frequent sightings of whales at play in the waters at its foot". Port Lincoln clings to the shores and low hills around Boston Bay, the mansions by the waterfront overshadowed by the tall white concrete grain silos. Galahs wing their way around the shore as boats head out to the tuna farms moored in the bay. We put in our order at The Fresh Fish Place for excellent fish 'n' chips made with fresh wild-caught fish dipped in batter made from local flour. 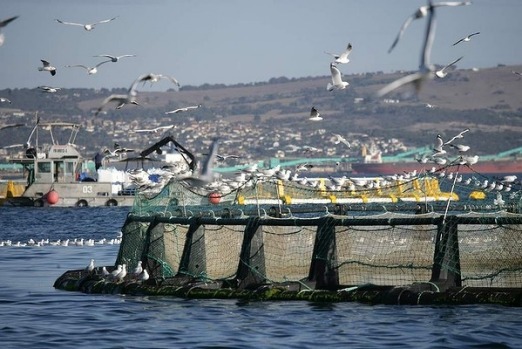 This is also home to a fresh fish shop and Port Lincoln Seafood Cooking School. We finish our seafood odyssey driving over to Coffin Bay. Here the clear blue waters are lined with oyster farms producing flinty and briny Pacific oysters. We buy a hessian sack from Coffin Bay Oysters to take ours back home (oysters live for a week or more if kept cool and damp). 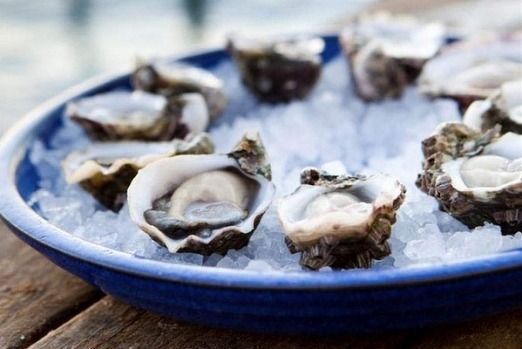 Then we pull up a chair at 1802 Oyster Bar and Bistro and get the chef to open up a few dozen oysters from different leases to try the difference, looking out onto Coffin Bay as the sun lowers itself into the Great Australian Bight. Take a detour through the Cornish mining town of Moonta to get really good gelati. The Italian owners of Coffee Barn & Gelateria (corner Moonta-Maitland Road and Warren Street) make the real deal. 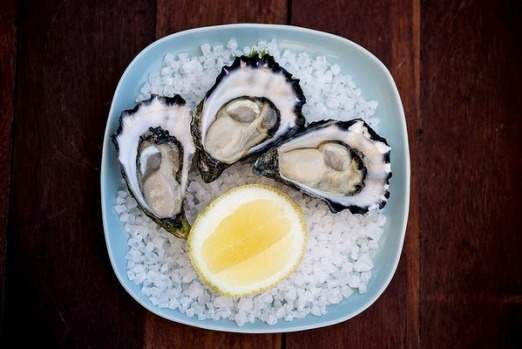 At Whyalla, wander the foreshore and try the local oysters and king george whiting at Waters Edge Restaurant. Near Tumby Bay is River Farm for fermented mettwurst sausage, full flavoured hams and lamb. This pleasant trip from the nation's capital to the nation's oyster coast isn't epic but can be spectacular. We get an early departure and take the Federal Highway north and turn off at Macs Reef Road towards Bungendore driving along the Lake George escarpment looking down into the lake-bed. 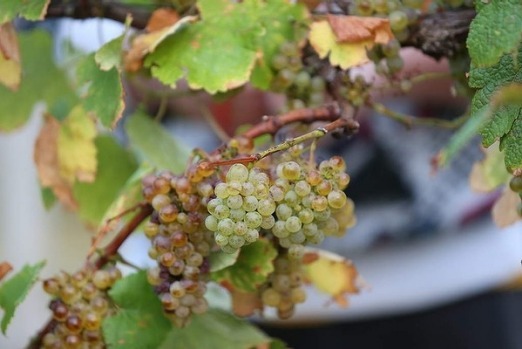 We visit Lark Hill Winery a biodynamic vineyard renowned for its cold climate wines. Lunch starts at 11.30am and we sit down to a meal made from produce sourced from Canberra's farmers' market. We head east onto the Kings Highway, aka the B52, taking care as this road has a notorious reputation for prangs. At Braidwood we stretch the old legs and wander around the colonial-era buildings and stumble across Dojo Bread (Rear, 91 Wallace Street). It's a natural ferment bakery specialising in meat pies encased in golden pastry made with butter and lard, housed in an 1830s cottage down a gravel lane.